As I’ve mentioned before, getting around without a smartphone in Japan requires a lot of planning. Before heading somewhere new, I spend a lot of time on Google Maps. Each trip usually includes a new lesson about what not to do next time. 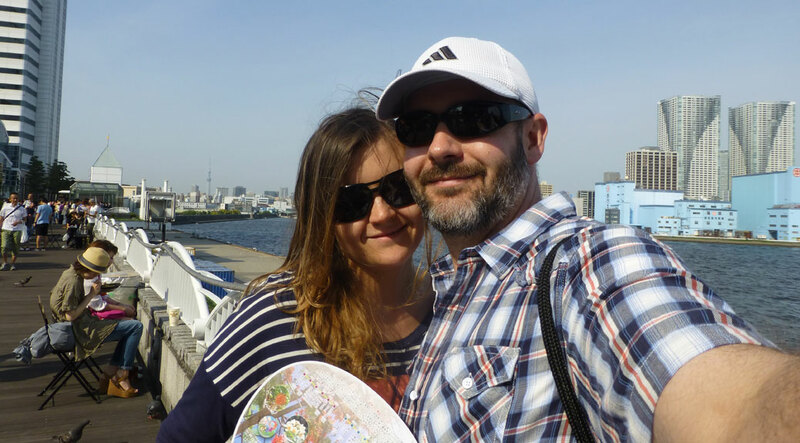 This past weekend, we headed to a new-to-us part of Tokyo. The final destination was to be the Tokyo Island Fair in Hamamatsucho, preceded by a lunchtime stop at Island Veggie, a Hawaiian-style macrobiotic restaurant in Hiroo. The “mile walk” from the train station to Hiroo was probably closer to two miles. We walked right past the restaurant once and also found a train station about a block away. Add “don’t trust ‘fewer transfers’ on Google Maps” to the list of lessons learned. But, on the sunny side, we saw some cool stuff along the way, including some awesome architecture. Eventually we did find Island Veggie and enjoyed a great vegan lunch. The menu was entirely in English and the staff spoke it perfectly, which is always a nice surprise at meal time. We’ll definitely be back to try more of the menu. 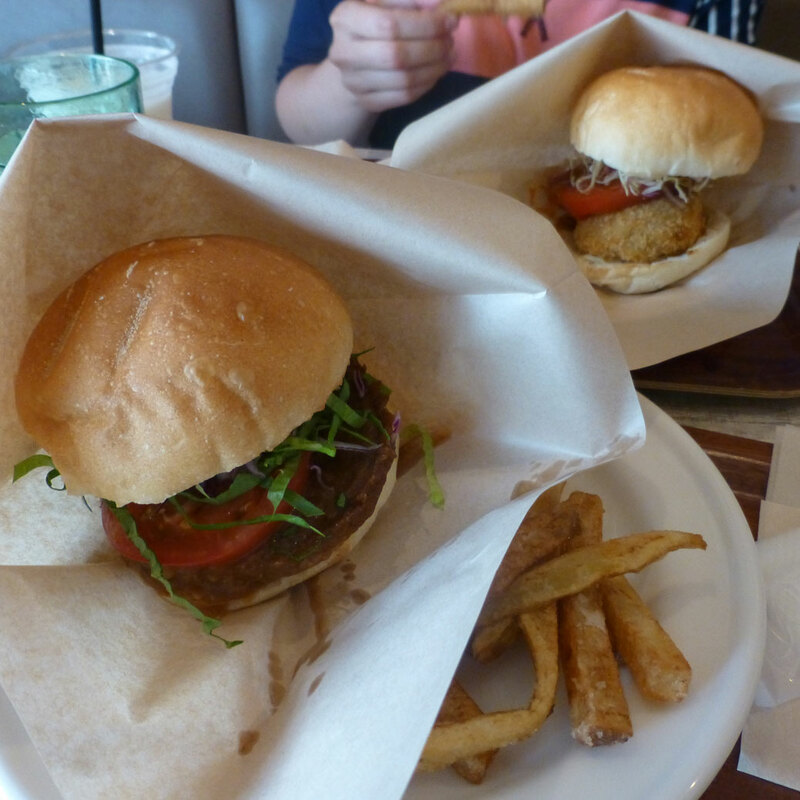 On this day, we had a teriyaki veggie burger, a falafel burger with fries, a soy milkshake and homemade lemonade. Healthy-naughty food is always a treat. Since the walk to Hiroo was more than we bargained for, we decided to take the train to Hamamatsucho instead of walking as we’d originally planned. 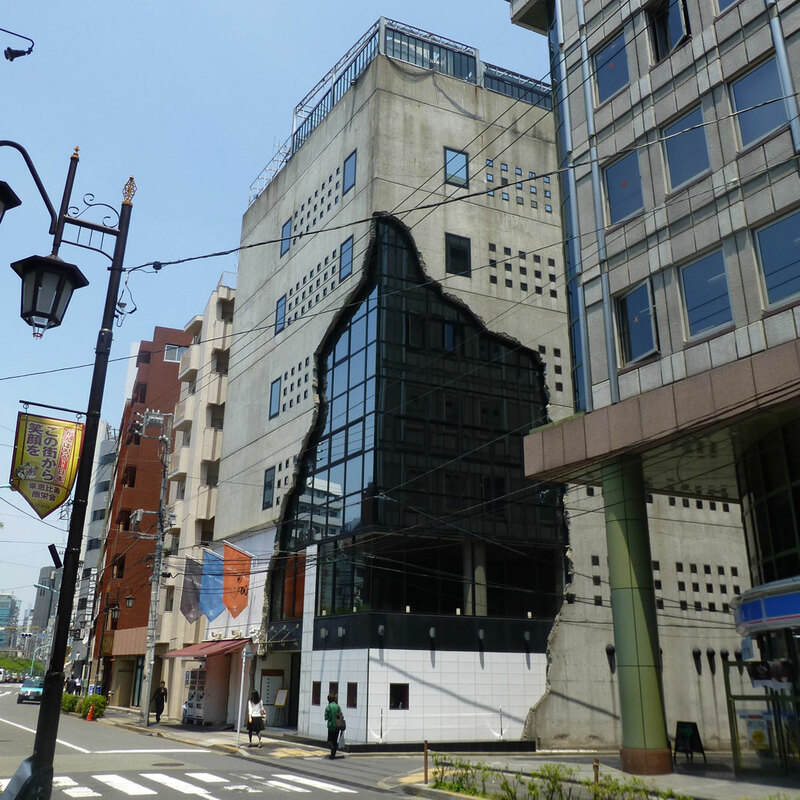 The first stop on the line was Roppongi, Tokyo’s high-end midtown, which we’d been meaning to check out. We jumped off the train and did a lap, which is about all Roppongi deserved as far as I could tell. It was a lot of shopping and eating, but the open-air mall near the station did have some decent views. 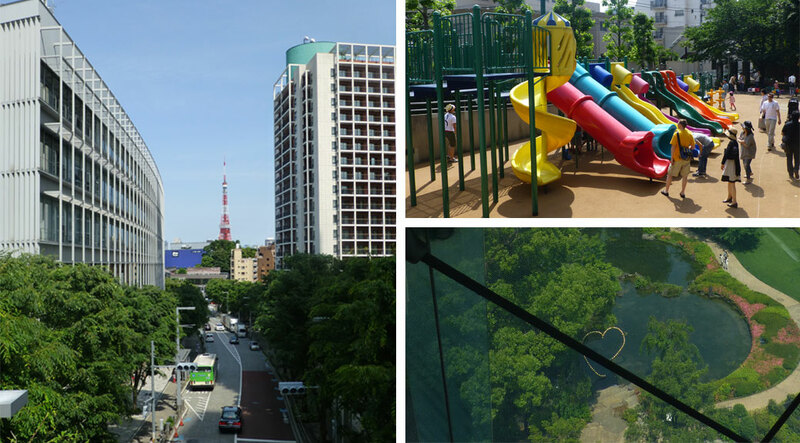 Tokyo Tower and a park with a heart are visible from the Roppongi Hills complex. A playground with multiple slide options is part of the residential section of the mall. Back on the train, we headed for the waterfront and our original destination. 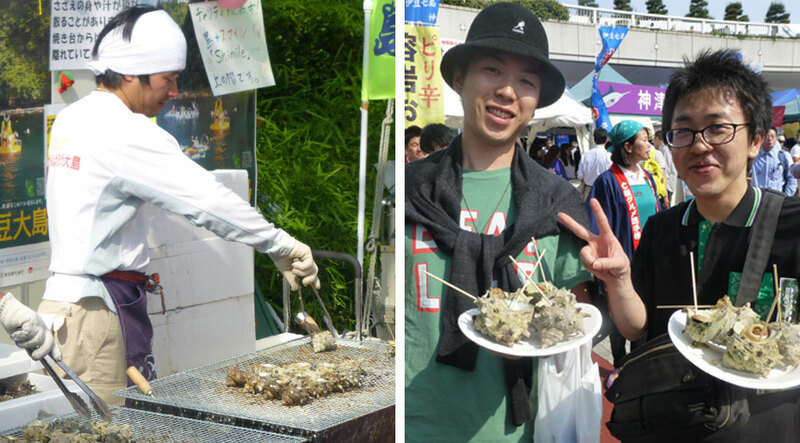 The Tokyo Island Fair highlighted the food and culture of the Izu and Ogasawara islands. These islands were formed volcanically, so they’ve never been part of the continent. As a result, they’ve evolved on their own and feature plant and animal life unique to the islands. The Ogasawara chain is known as the “Galapagos of the Orient” and was named a UNESCO World Heritage Site in 2011. The festival was held at Takeshiba Ferry Terminal. The terminal serves all of the small islands and opens up into Tokyo Bay, which is connected to the Pacific Ocean. I’m not big on astrology, but I’m an aquarius, the water sign. I love the Willamette Valley, but if I didn’t get to the ocean about once a month, I’d start to get a little claustrophobic. It had been about three months since I’d last seen real water, so this was a treat. A little spiritual cleansing. A little water time on the Takeshiba waterfront. Unbeknownst to us, our real reason for coming to Japan is to try ALL of the ice cream. 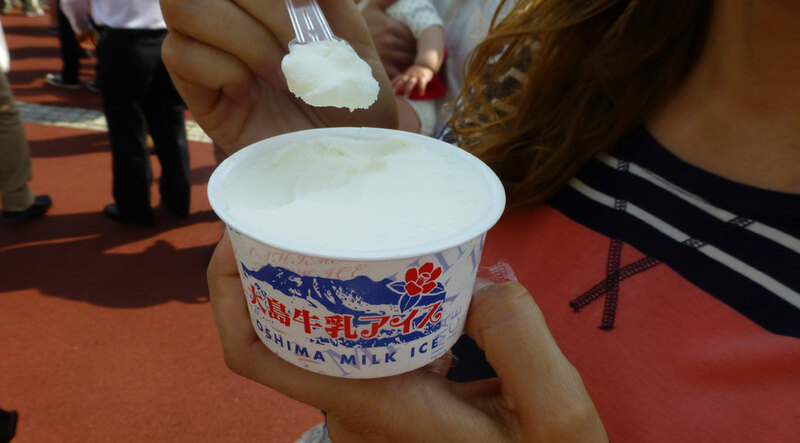 This milk ice, made on Izu Oshima island, was fantastic. The best way to describe most Japanese ice cream is that it tastes “clean.” I’m sure an island with an active volcano that last erupted in 1990 could use a good milk ice. As with any place in Japan, the best treats are usually at the front of the longest line. Well, there’s another theory out the window. The front of this line had snails. Giant snails. Still in their shell. Looking like some sort of hose in the engine of a souped-up car. Suffice to say, we skipped that line. What are these mollusks? Snails. That’s right… giant, nasty snails. There were plenty of activities to keep the kiddies entertained as well. 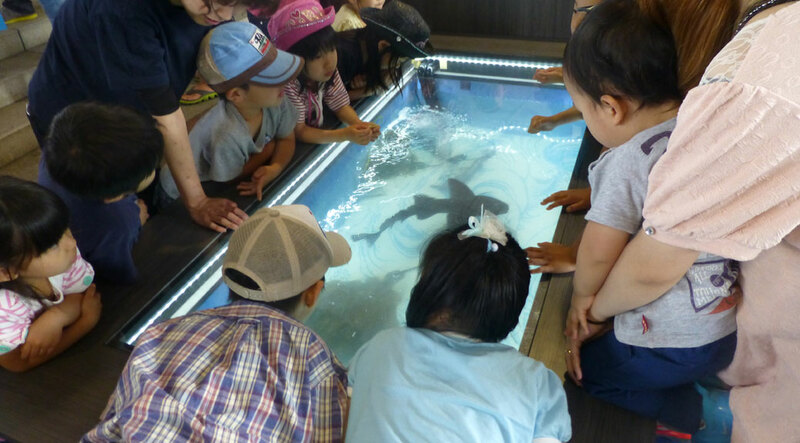 Kids gather around a tank with baby sharks and rays from the islands. 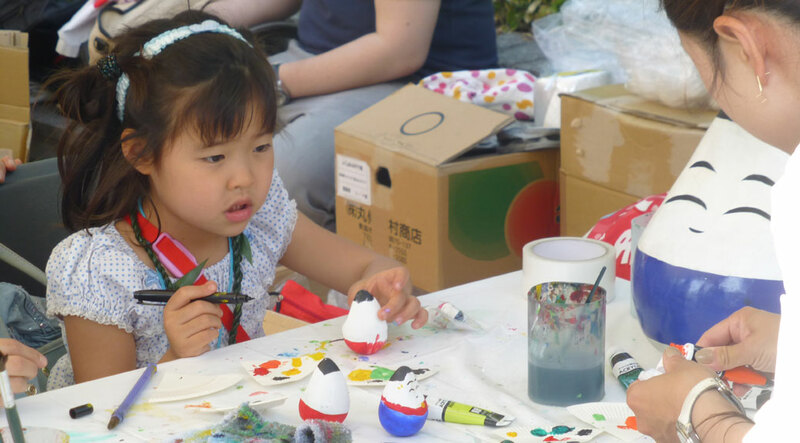 Kids paint little figurines as part of the Island Fair activities. 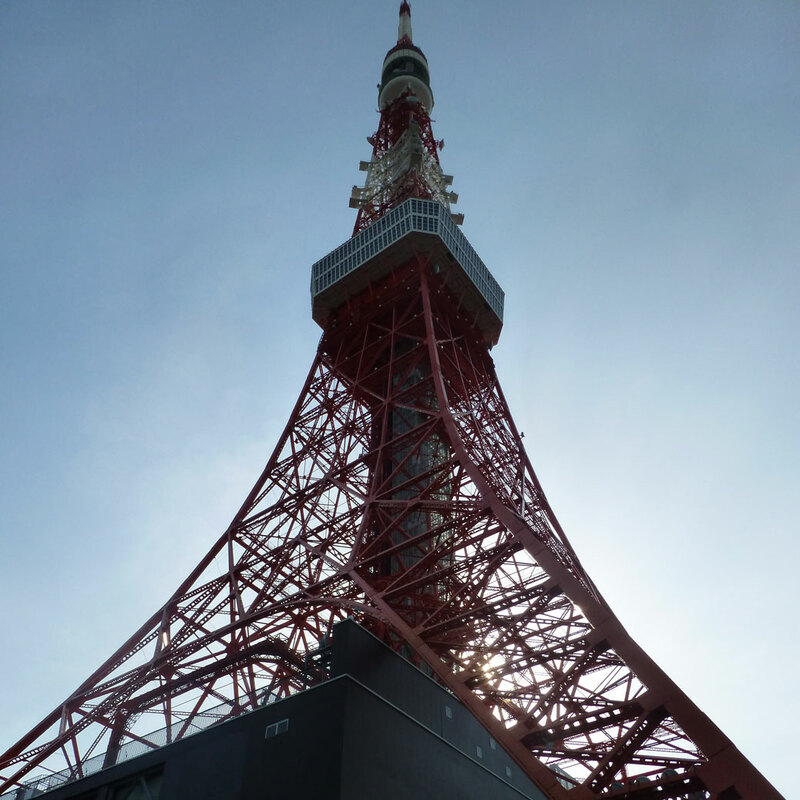 When we got off the train in Hamamatsucho, we saw the Tokyo Tower, another landmark on our to-do list. Two birds, one stone… great! The tower is Japan’s second-tallest structure with a design inspired by the Eiffle Tower, although slightly de-classed by the industrial white and safety-orange paint job. It’s your time to shrine! 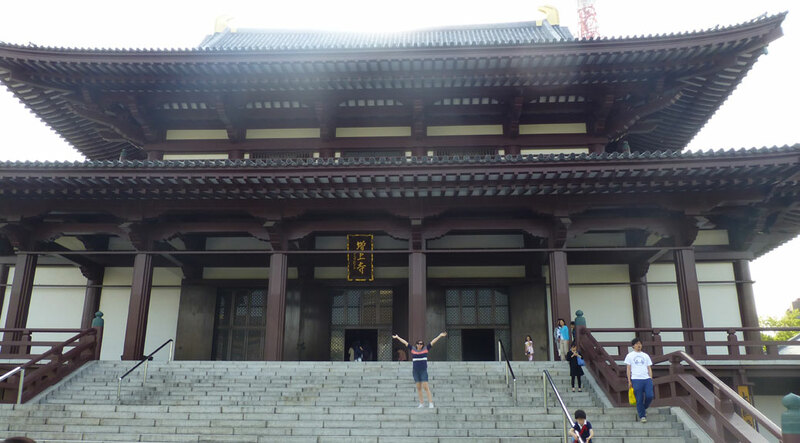 Zōjō-ji temple, a beautiful Buddhist temple, separated us from the Tokyo Tower. Much of Zōjō-ji was destroyed in World War II. The oldest structure on the grounds, Sangedatsu Gate, was built in 1622. Walking through the gate will free a person from greed, hate and foolishness. We finally arrived at Tokyo Tower where dozens of other tourists joined us in taking up-the-nose pictures trying to get the whole tower in the frame. 1,420 yen (about $14 USD) will get you a great view of the city from the observation deck, but we’d seen enough of Tokyo for one day and headed home. Will you be able to visit any of the islands during your stay in Japan? I hope so! 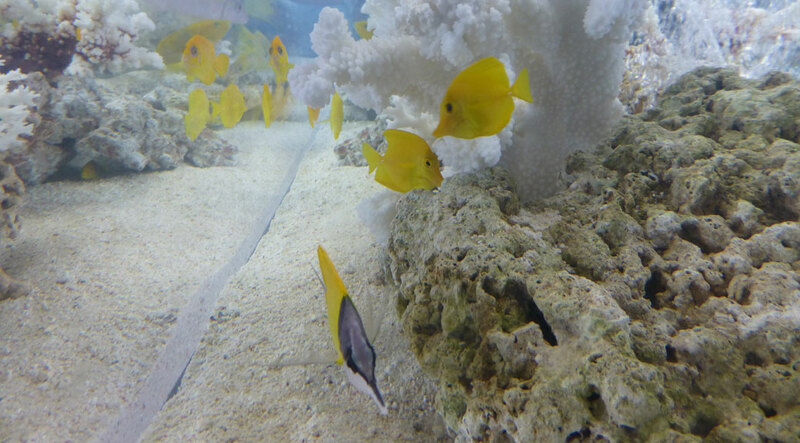 We looked into the trip to the Ogasawara Islands. It’s a 25-hour ferry ride at a little more than $500 per person. Start saving our pennies… or yennies as the case may be.